Are you looking for a challenge in alpine terrain? The Aconcagua Light ML Jacket Men flexibly accommodates your every movement, making it ideal for demanding situations in the mountains. The material impresses with its waffle structure and stretchability, as well as active moisture-wicking. The flat design of the seams avoids chafing under your backpack and enhances comfort. The functional underarm gussets allow you to move freely. 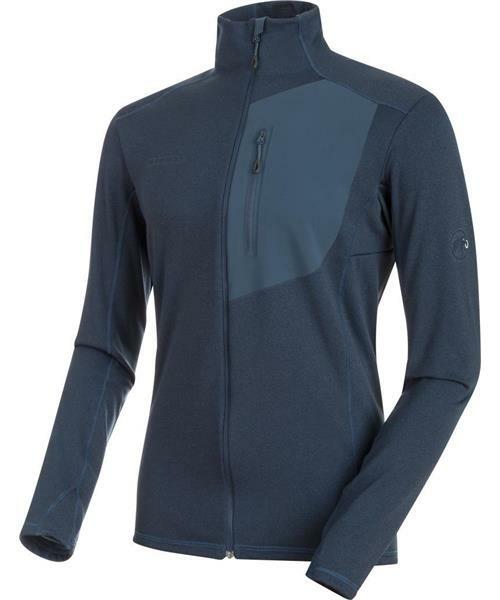 With the Aconcagua Light ML Jacket Men, every move will be a success – whether upwards, downwards or sideways.